Clean & Tidy are not just another cleaning company. We can provide a wide range of additional painting and decorating services. Are you tired of living in mould and corrosion? Our painting & decorating team are professionals and highly trained individuals who can provide high quality and high standard work to your home or place of business. 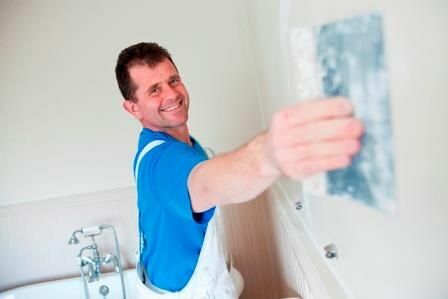 As a customers you need to be confident that any painter and decorator who come to your home or place of business are qualified and trustworthy. With Clean & Tidy the answers is a resounding ‘Yes!’ All members of Clean & Tidy’s painting and decorating team have references and are fully insured, capable and trustworthy professionals. Clean & Tidy’s strict recruitment process ensures all team members are thoroughly background checked to ensure that their work is of the highest standard. Would you like to give your own or rented property a new, wonderful look? If you have additional requirements that are not listed above, please do not hesitate to contact us on 0208 882 1095 for advice. Alternatively, please complete our quick, no obligation enquiry form or email us at info@cleantidy.co.uk, and a member of our team will be in touch!